This tape opens with the end of Antiques Roadshow. There’s a trailer for Modern Times. 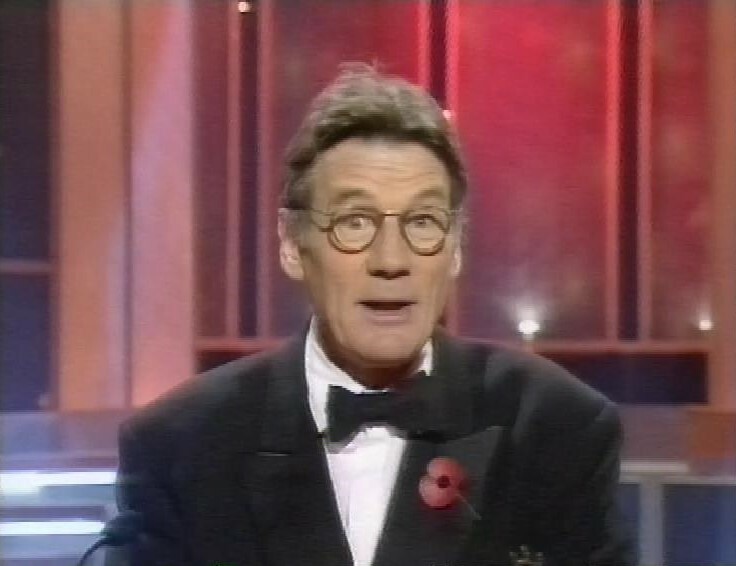 And a trailer for The Royal Variety Performance. 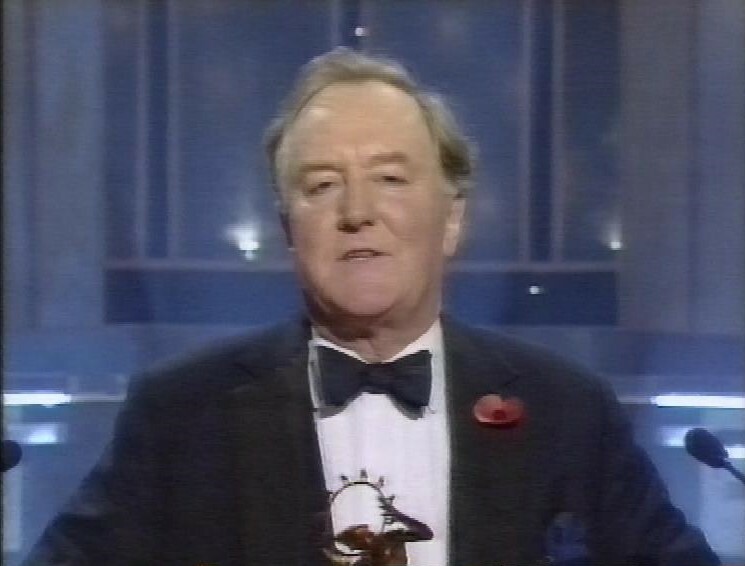 Then, a ‘star studded evening’ celebrating 60 years of BBC televison in Auntie’s All Time Greats (which I have erroneously listed as TV60 in my database) a set of awards celebrating the best of the BBC. It was held, appropriately enough, at Television Centre. 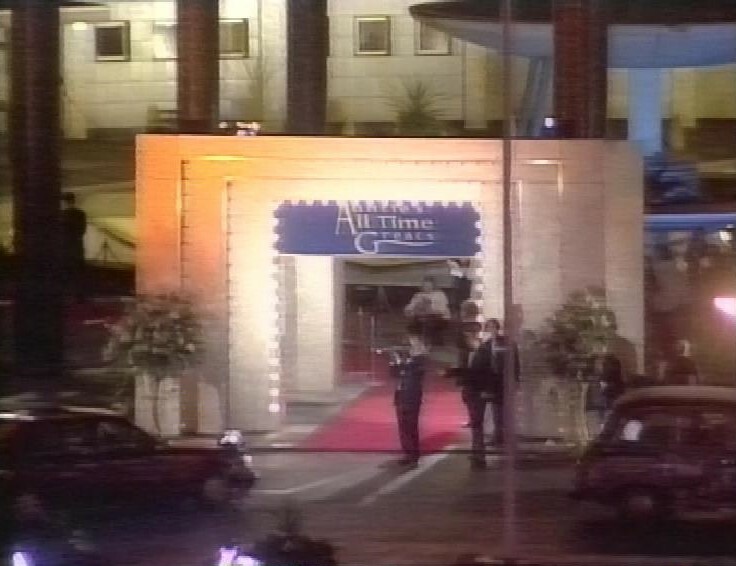 They even set up a red carpet. 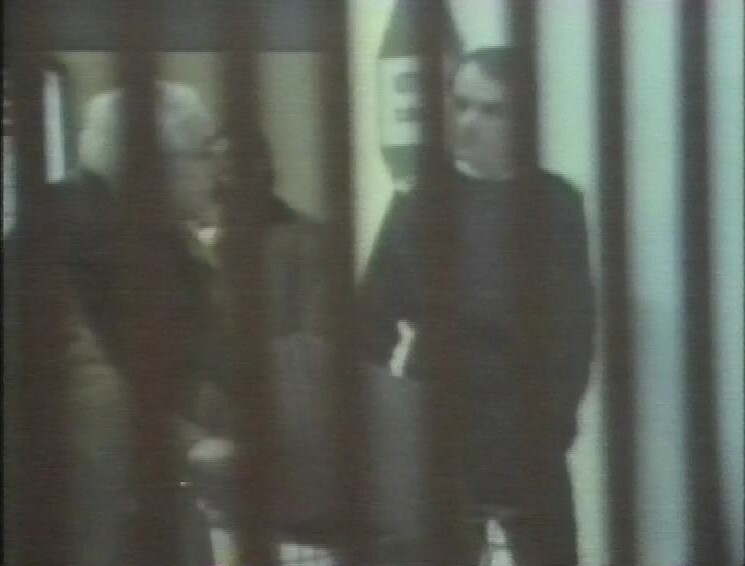 It’s still jarring to watch these things and to see someone like Jimmy Savile pop up. 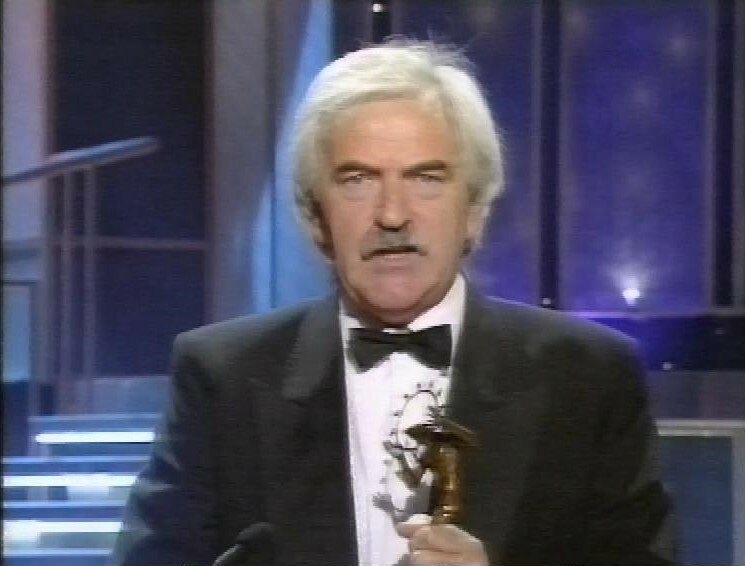 The first award is for Best Situation Comedy Performer, presented by Michael Palin. The clip they use for AbFab is the one with a young Idris Elba. 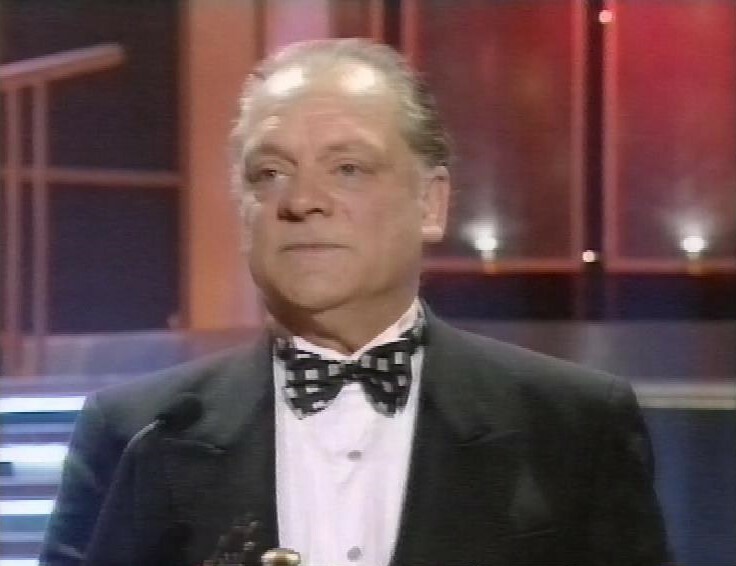 And the winner is David Jason. 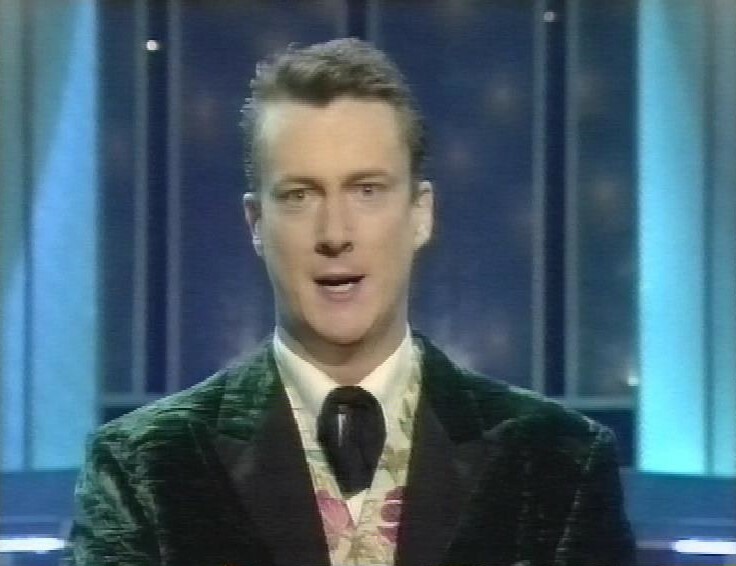 Stephen Tompkinson presents the award for Favourite Comedy Performer. 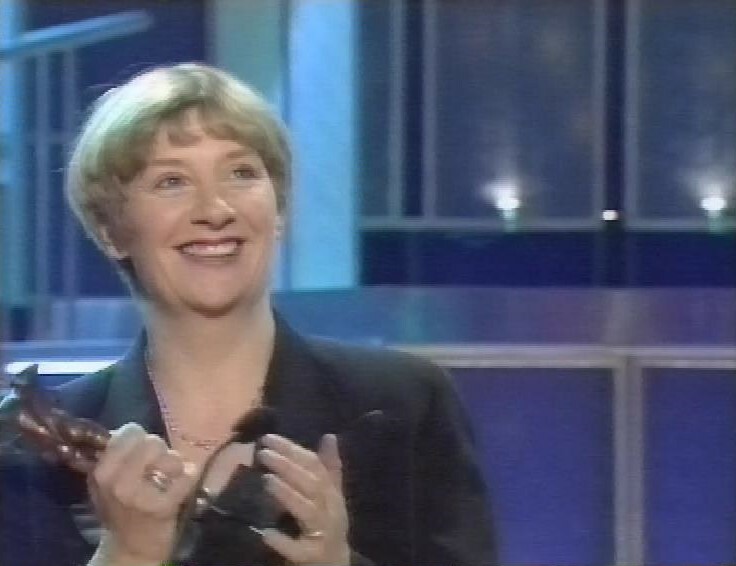 The winner is Victoria Wood. 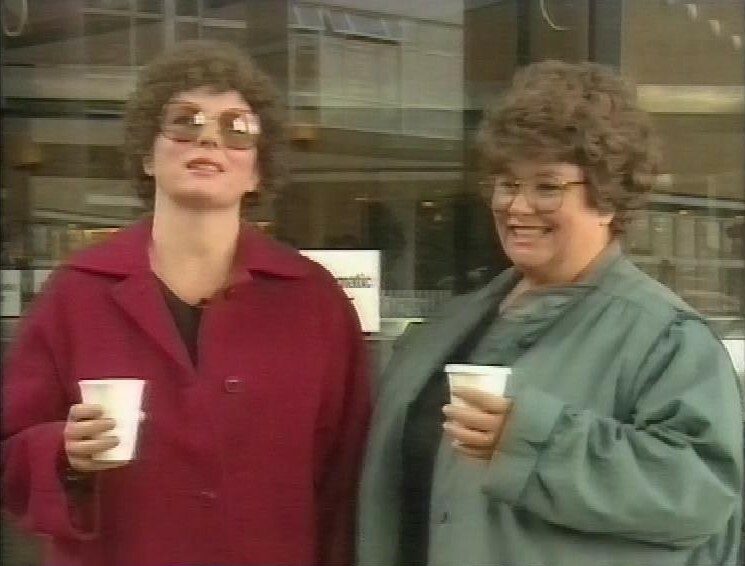 There’s a segment from the first show broadcast from TV Centre, along with French and Saunders playing two dancers reminiscing. Always lovely to see TVC on the TV. 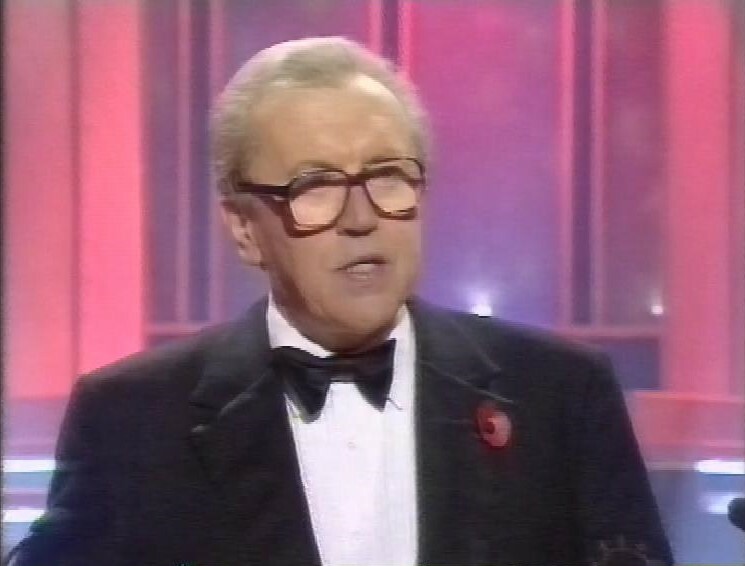 The next award is for Favourite Light Entertainment Series, presented by David Frost. 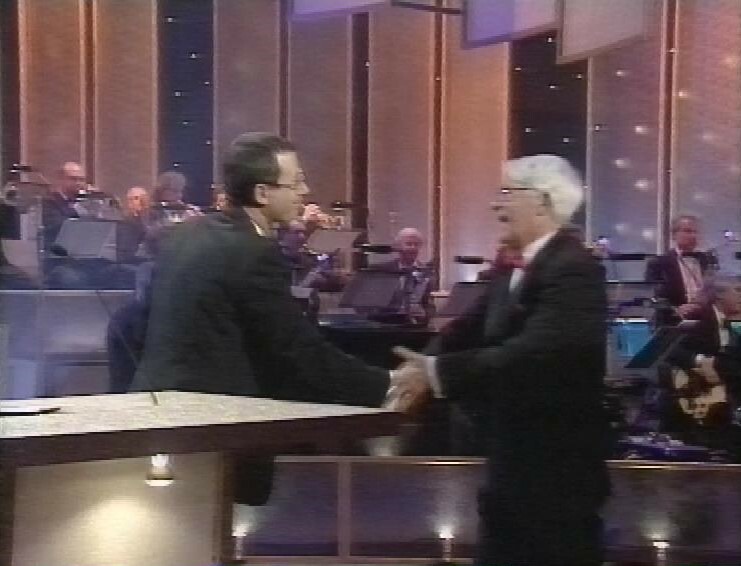 The winner, quite rightly, The Morecambe and Wise Show. 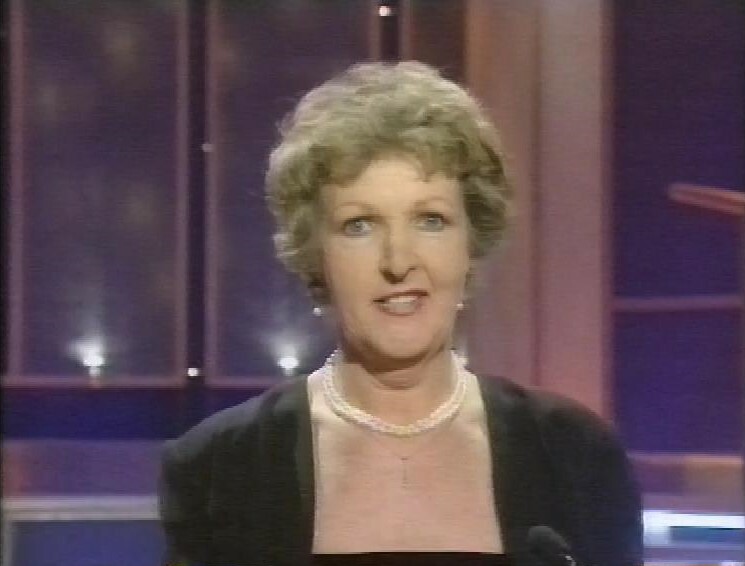 Julie Walters presents the next award, for Favourite Actor. Accepting from Beverly Hills, Colin Firth. 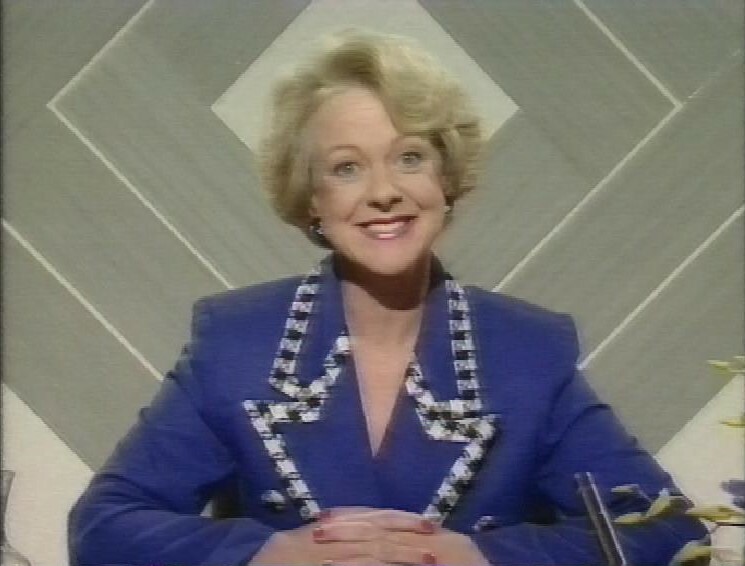 There’s a specially recorded segment of Acorn Antiques, introduced by the peerless Susie Blake. The winner, definitely benefiting from being the most recent, is Pride and Prejudice. 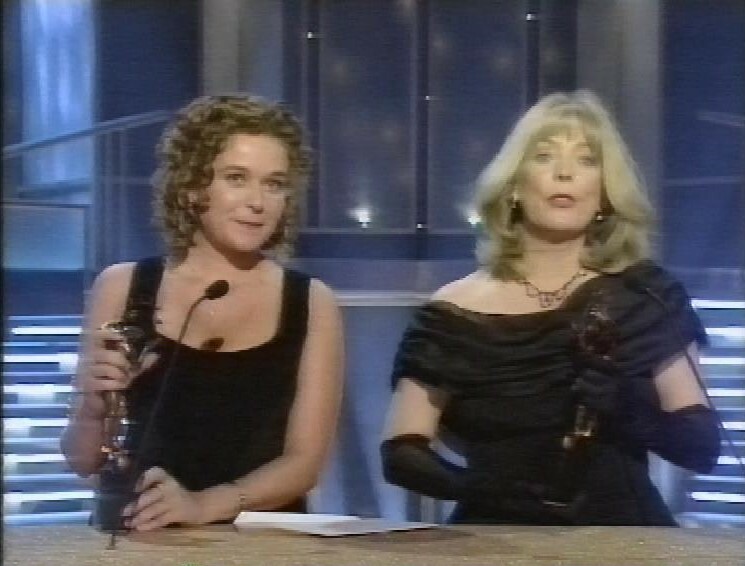 Alison Steadman and Julia Sawhala accept. 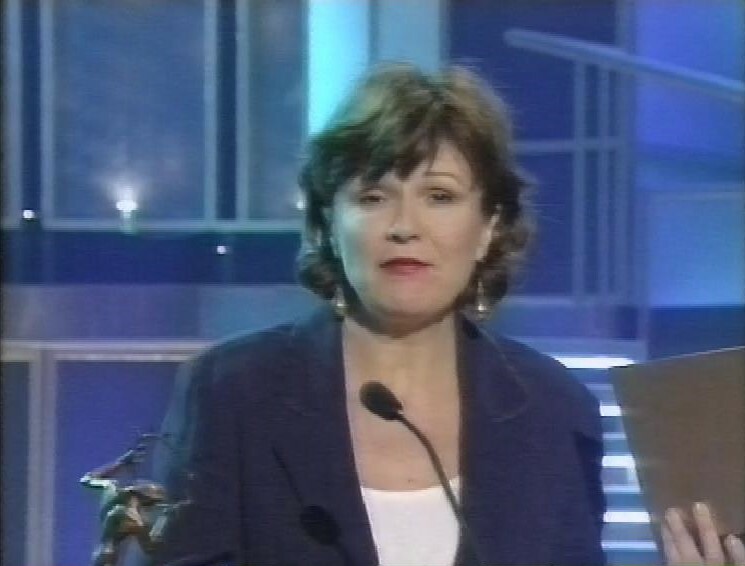 Another worthy win for Victoria Wood As Seen on TV, accepted by her and Julie Walters. 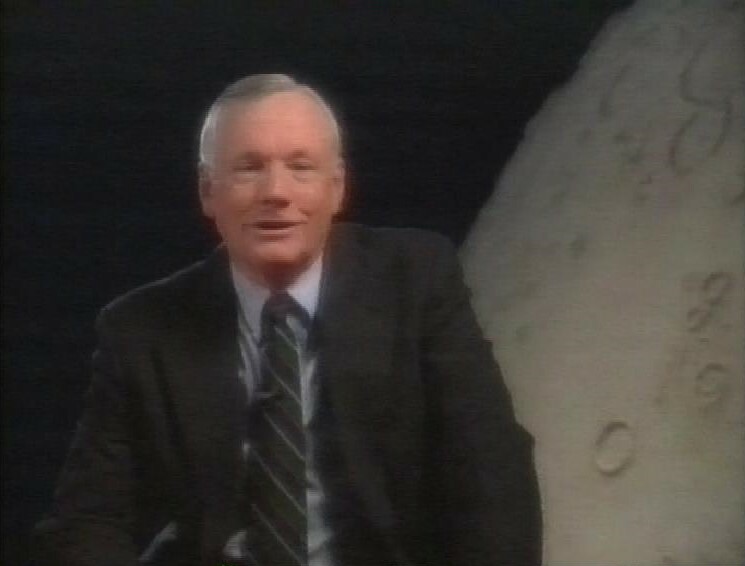 Then, one of the programme’s most amazing coups – a birthday greeting from the famously reclusive Neil Armstrong. 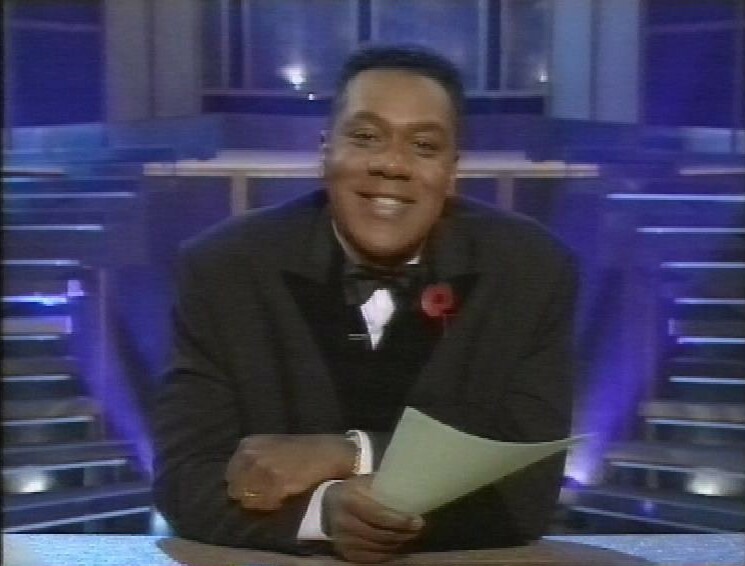 Lenny Henry does The Henry Report. 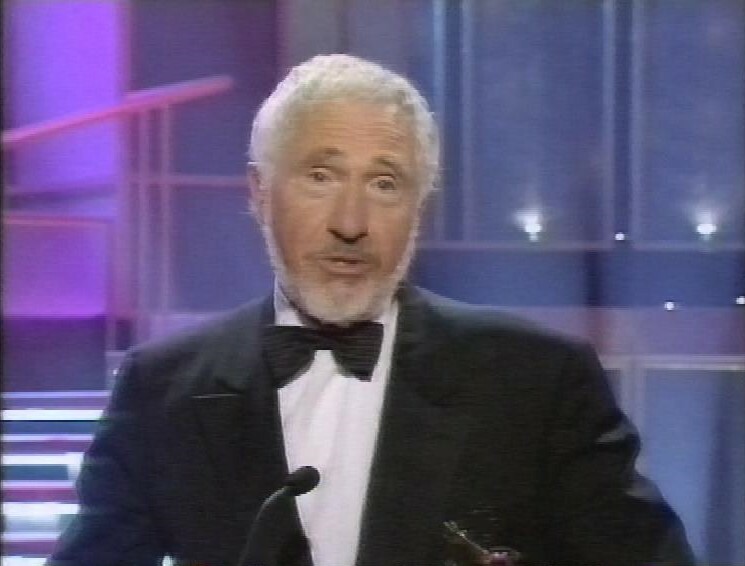 Nigel Hawthorne presents the award for Favourite TV Actress. 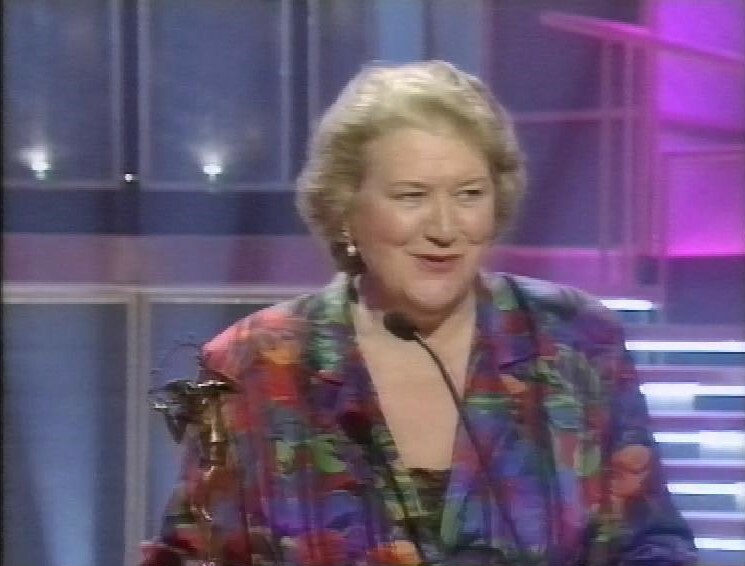 The winner is Patricia Routledge. I’d like to think this was partly due to her appearances on Victoria Wood’s shows as Kitty. 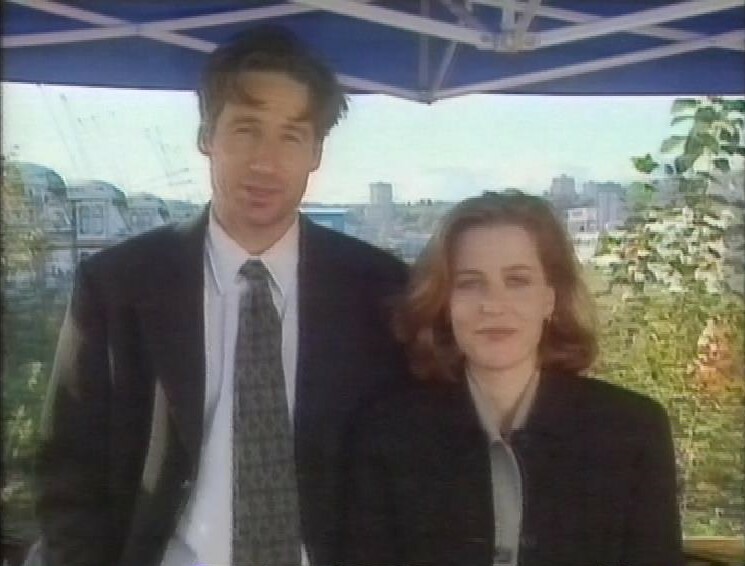 There’s a greeting from David Duchovny and Gillian Anderson. 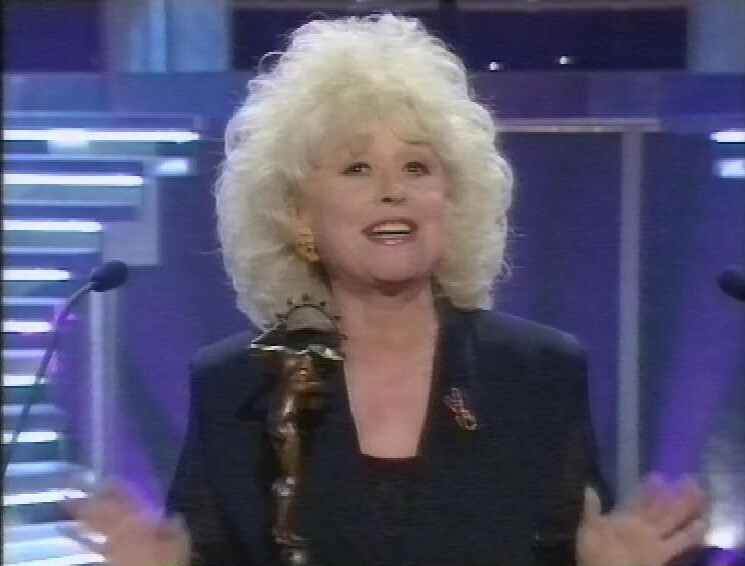 Barbara Windsor presents the award for Favourite Situation Comedy. Not sure this result really holds up – it’s Men Behaving Badly. I guess that was the most current. 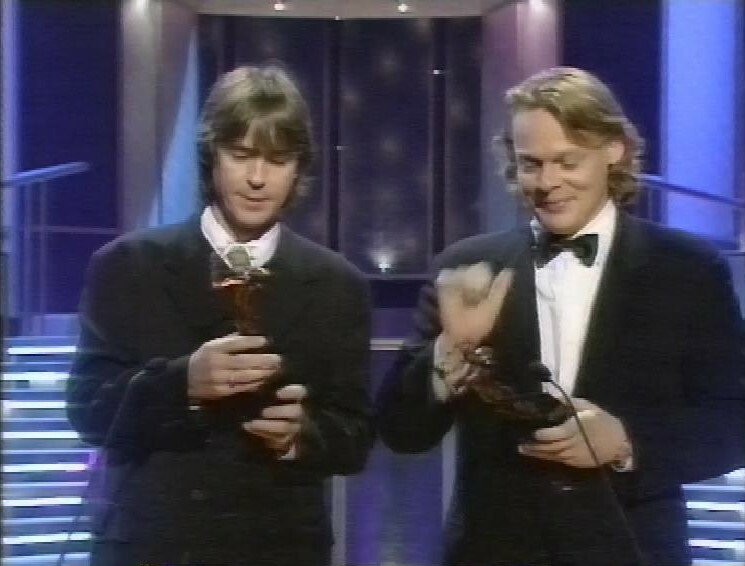 Morrissey and Clunes accept the award. 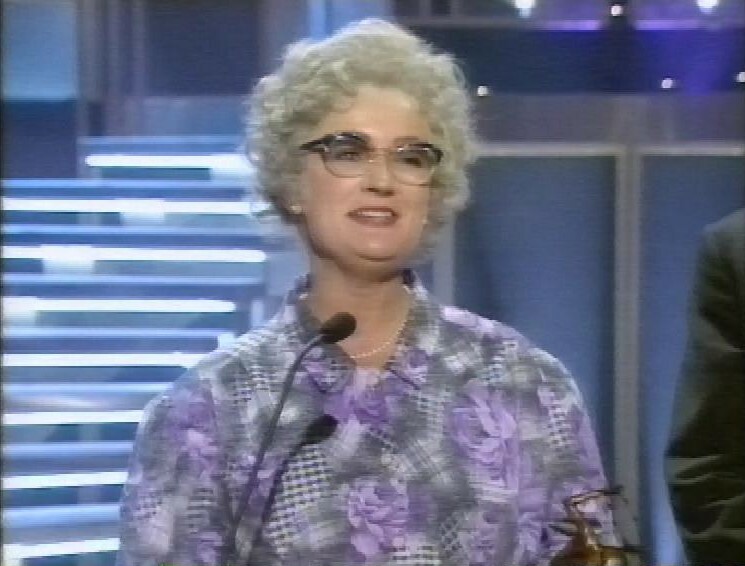 Caroline Aherne presents the award for Favourite Presenter, in character as Mrs Merton. The winner is Desmond Lynam, another person benefiting from still being on the TV. Frank Skinner and David Baddiel (with a brief appearance from Statto) talk about sport. 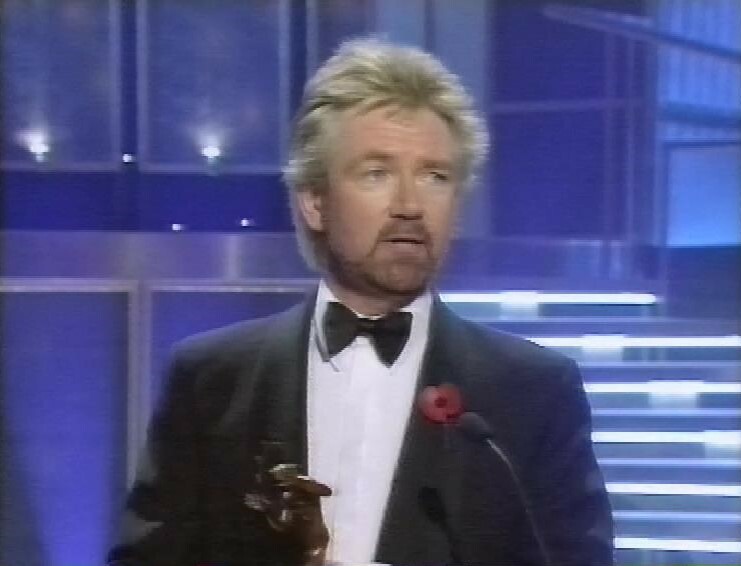 Much Loved Personality Noel Edmonds presents the Favourite Popular Drama award. 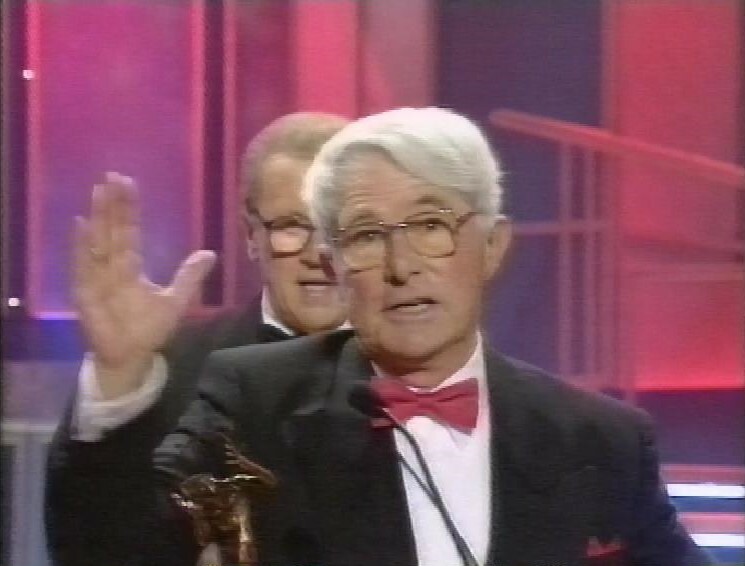 This one was controversial even at the time, because it was won by Doctor Who, at a time when the show wasn’t even on air, especially because it beat the BBC darling Eastenders. 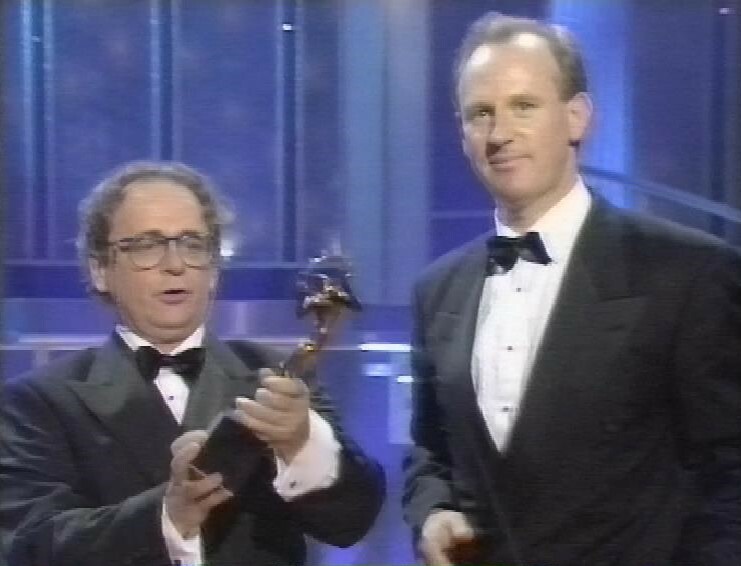 The award was accepted by Sylvester McCoy and Peter Davison (Nicola Bryant, with them in the audience, declined to go up on stage). 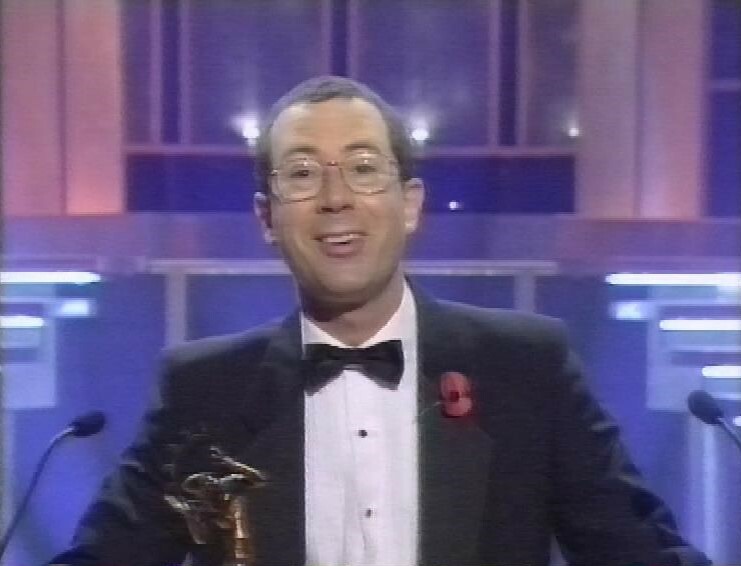 Ben Elton presents Favourite Light Entertainment performer. 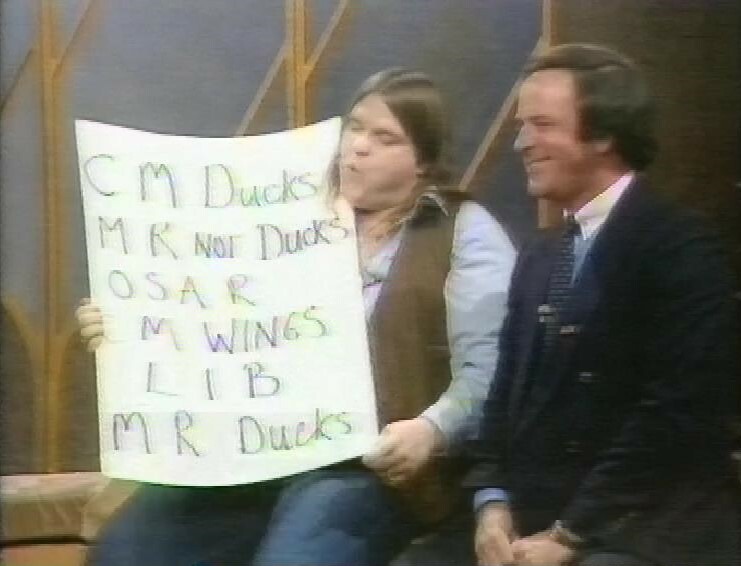 There’s a clip of Terry Wogan with Meat Loaf that I remember watching. The winners, again, Morecambe and Wise. 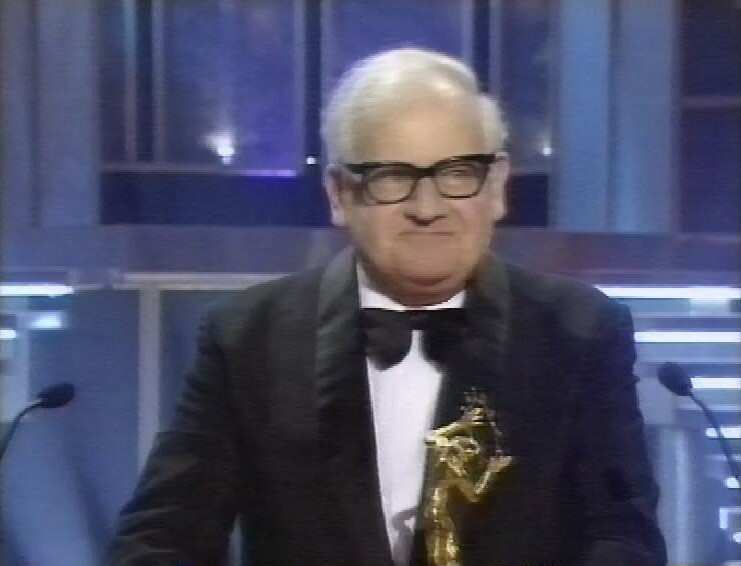 The final award of the night is a special award, going to Ronnie Barker. Here’s the whole thing (minus a couple of clips that BBC Worldwide blocked). After this, there’s a trailer for Absolutely Fabulous and Clive Anderson All Talk about his interview with Mikhail Gorbachev. Then the recording ends just before the news starts.